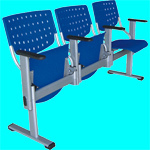 Please choose the category of chairs and look for detailed information. If you would like to look all our office chairs, please click here. © "IP Furniture Industrial Co., Limited", 2000-2011. All rights reserved.